During the dull days of winter, I long to get out into the garden to harvest something for my dinner table. Having had such a bounty at my fingertips all summer and fall, it’s tough bringing myself to buy certain produce items at the grocery store. I’m not alone, of course. Gardeners in most parts of the country are on break from harvesting fruits and veggies, but it’s not necessary to abstain from all gardening activities. 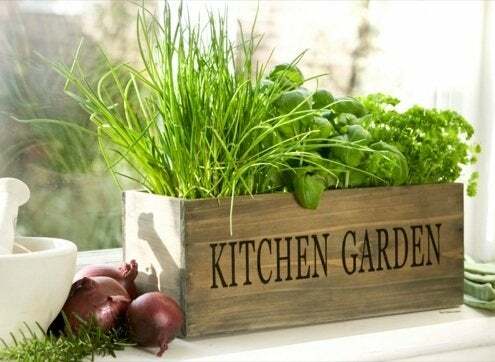 One way of enjoying a little culinary gardening through the cold months is to grow herbs indoors. Herbs from your outdoor garden can be brought inside to overwinter, but doing that entails the risk of inviting in all sorts of unwanted critters. It’s best to begin with new starter plants or by starting your own plants from seed. Plant Selection. Some herbs are more amenable to indoor living than others. Dill, for instance, has no trouble growing indoors, but most varieties get very tall, and all varieties must be constantly reseeded to maintain a consistent crop. Other herbs, such as mint and sage, can grow in containers indoors but simply do better in outdoor conditions. Parsley, basil, thyme, rosemary and chives are some of the easiest herbs to grow indoors, and luckily, they are some of the most popular ingredients in winter favorites like soups and stews. Light. 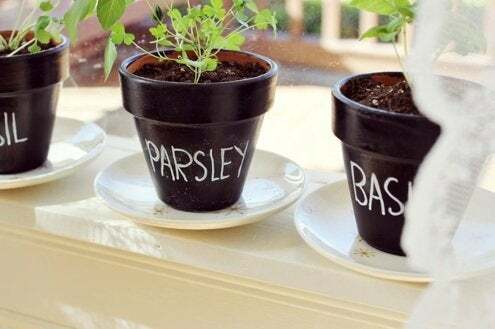 You’ll need to provide your herbs with at least six hours of direct sunlight a day. If you don’t have a window with enough sun, you can supplement with a specialty grow light or even a regular shop-type light outfitted with a 40-watt fluorescent bulb. Temperature. Herbs are happiest in cool-ish temperatures—between 60 and 70 degrees Fahrenheit during the day and even cooler at night. Avoid putting plants close to heat sources, and don’t crowd them too close together. If you like, use a small fan to give your herbs some gentle air circulation. Water. Herbs are prone to root rot if they get too much moisture, so don’t over-water. 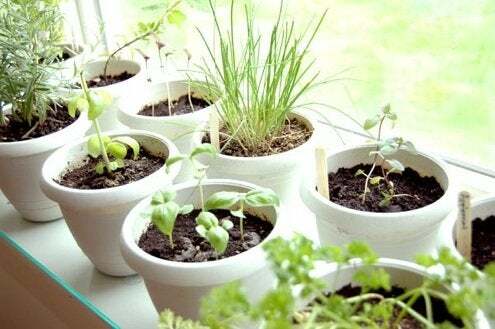 Make sure you pot them in containers with drainage holes, and never let your herbs sit in standing water. Between waterings, be sure to let the soil surface dry out. Adding a little green to your house with an indoor herb garden can really perk up your winter—not to mention your kitchen. And your winter dishes will be infused with a fresh garden taste that can help you hold out until spring. Happy gardening, and happy cooking!